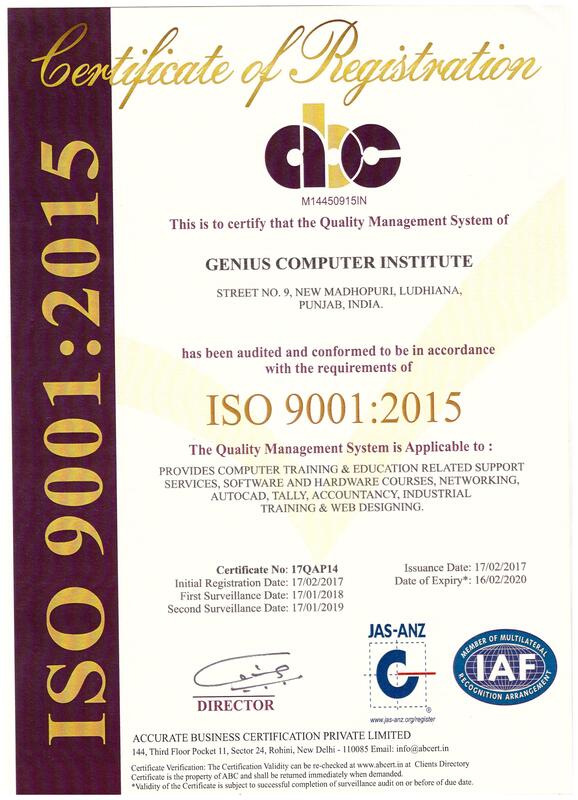 Genius Computer Institute || ISO 9001:2008 Certified || of Design & Animation a Complete Coaching Center. Pleace enter a Sr. No. ! Genius Computer Institute Provide courses in Computer Basics, Accounts, Graphic Designing , Web Designing, Web Development , Web Hosting , Programing & 2D-3D Animation. Fully Clean & Ac Labs Fully Practical Courses & 100% Job Placement, Verify your Certificate to Enter Your Certificate Sr. No. If Your Sr. No. Not Valid to Contact +91-161-4633528 to Verify Your Certificate Valid or Invalid.